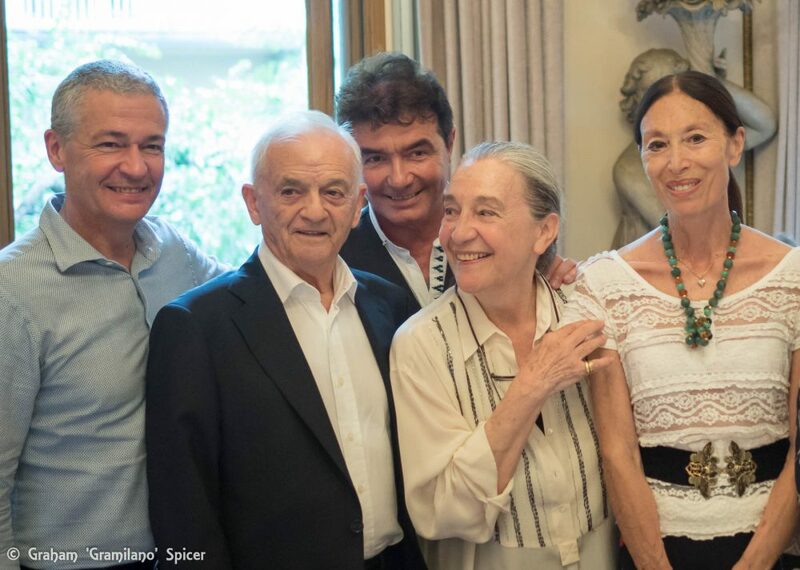 The Amici della Scala (Friends of La Scala), run by the indefatigable Anna Crespi, gathered together at the association’s spectacular headquarters, a short walk from La Scala, to celebrate one of Italy’s most important theatre designers. 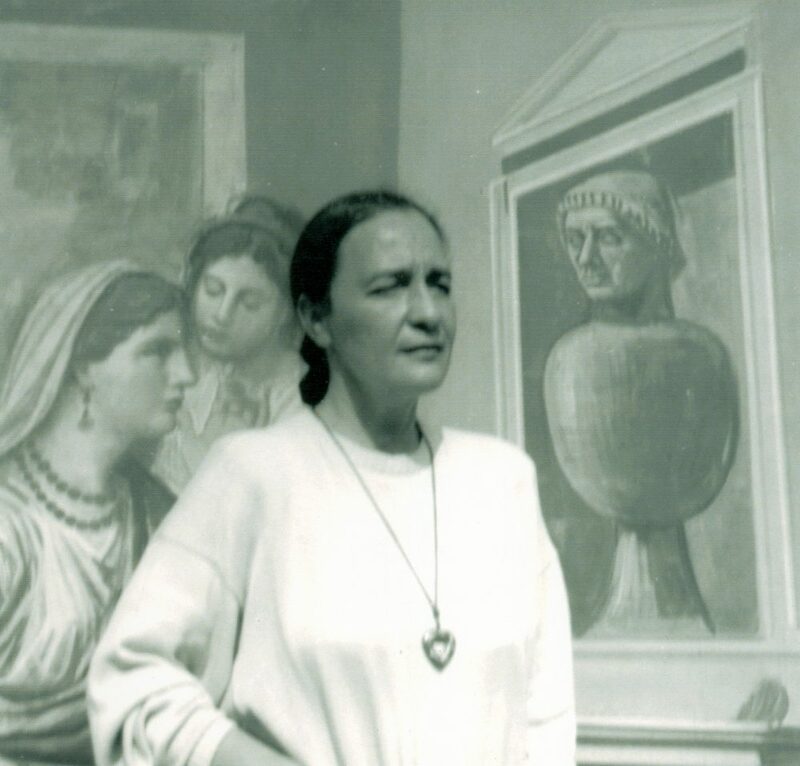 Luisa Spinatelli is one of a tight-knit core of Milanese artists, by birth or adoption. They are actors, singers, dancers and designers and include many of Italy’s greatest talents. Spinatelli, who actually calls herself that, in the third-person, studied set design at Milan’s Accademia di Belle Arti di Brera, and later she taught costume design there. 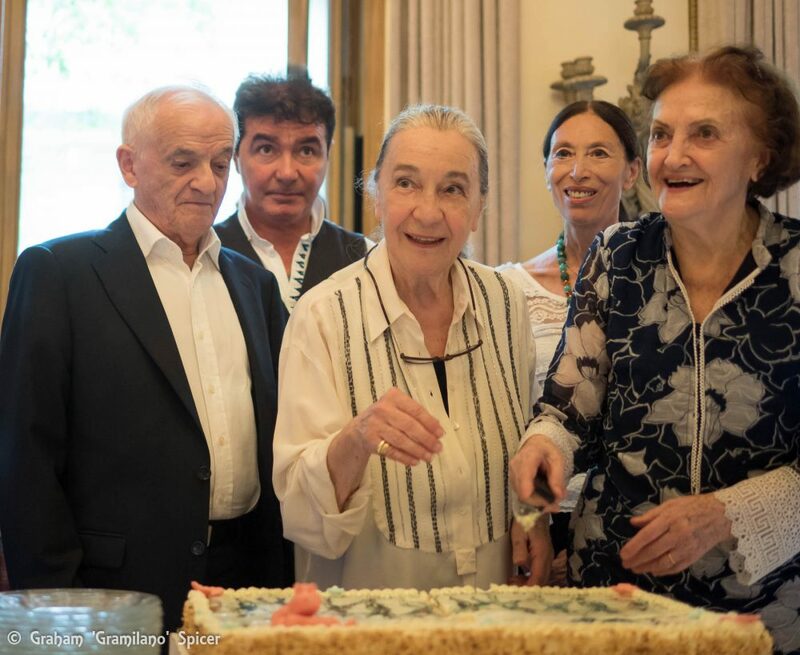 Her debut as a set designer was with the one-act ballet Francesca da Rimini at La Scala in 1965 starring Carla Fracci with the choreography of Mario Pistoni; she was the youngest person to have designed a production for the theatre. It was the beginning of a collaboration with La Scala that continues today: she is currently designing the theatre’s new production of the ballet, Le Corsaire. Other work at La Scala includes Lamberto Puggelli’s productions of Attila (1975), La forza del destino (1978), Andrea Chénier (1982), Adriana Lecouvreur (1988) and Fedora (1993), Lev Dodin’s production of Mazepa (1989), George Balanchine’s A Midsummer Night’s Dream (2003), and Derek Dean’s version of Coppélia in 2009. Her 2003 Dream opens for another run this week in Milan, and she also designed the 2012 production of the ballet for the Mariinsky. The other world-famous centre for theatre in Milan is the Piccolo Theatre — Little Theatre — which now runs three different theatre spaces. It was founded by the great Italian director Giorgio Strehler who gave the world some legendary productions of Shakespeare, Goldoni and Brecht. For Strehler, Spinatelli designed De Filippo’s La grande magia, the costumes for Corneille’s l’ Illusion for the Odéon-Théâtre de l’Europe, the two parts of Strehler’s mammoth adaptation of Geothe’s Faust, and Marivaux’s L’Île des esclaves. From the intimacy of the ‘Piccolo’ theatre she passed to the giant project of an Aida which was performed in front of the Pyramids of Giza. The Washington Post wrote an article called ‘Staging Aida by the Acre’. The $4 million production was set on a 120m by 30m stage (396ft x 99ft) which supported the weight of a cast of 1,600. The production was seen at the Olympic Stadium in Montreal the following year. Spinatelli has also designed Carmen (Caracalla, Rome, 1983), The Maid of Orleans (Teatro Regio, Turin, 2002), Luisa Miller (Palermo, 2003) and many, many others. In 1976, she became the first woman to design a production for the Arena of Verona creating a Nutcracker for Carla Fracci. Later, in 1984, she designed a Carmen for the 15,000-seater arena. Her designs for ballet have been extensive with many important long-term collaborations, including those with Carla Fracci and Beppe Menegatti, Roland Petit, and Patrice Bart. She has designed sets and costumes for The Nutcracker, Sleeping Beauty, Clavigo, Paquita, Tchaikovsky, Raymonda, La Dame de pique, La Chauve-souris, À bientôt, Proust, ou Les Intermittences du coeur, Liebeslieder Walzer, Orpheus and Eurydice, The Lady of the Camellias, Coppélia and Giselle, collaborating with (aside from the above-named directors and choreographers) Pierre Lacotte, Natalia Makarova, Asami Maki, Dominic Walsh, Manuel Legris and Derek Deane. She has deigned nine versions of Swan Lake. Spinatelli’s nine collaborations with Patrice Bart started with the Benois de la dance nominated Nutcracker in 1999, and is a relationship that continues today. A more recent partnership began with last year’s Le Corsaire for Manuel Legris in Vienna and continues next season with a new production of the ballet Sylvia. Luisa Spinatelli has designed productions for theatres including the Berliner Staatsoper, the Opéra de Paris, the National Theatre in Tokyo, the Royal Opera House, Covent Garden, Tokyo’s Bunkamura Theatre, Poland’s Teatr Wielki – Opera Narodowa and the National Theatre of Korea among others. Her talent for bringing the lightness of ballet costumes to those of opera brought her to the attention of the French actor and director Éric Génovèse for whom she designed costumes for his productions of Così fan tutte (Theatre Champs-Élysées, 2008), Ecole de femmes (Opéra national de Bordeaux, 2010) and Anna Bolena (Wiener Staatsoper, 2011). 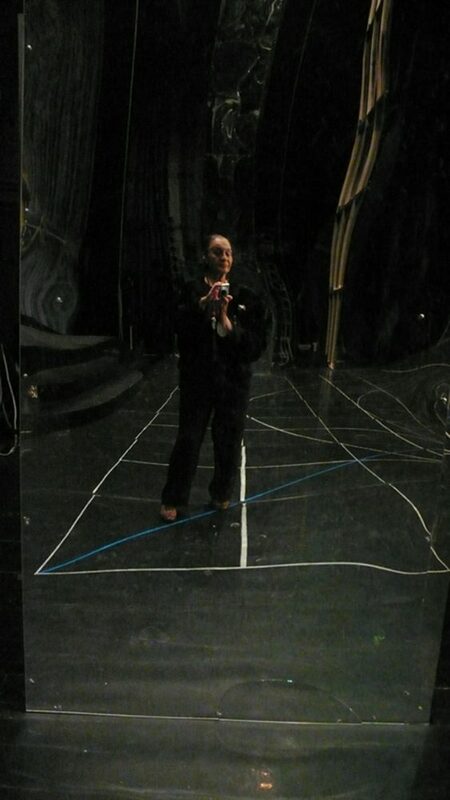 Moreover, Luisa Spinatelli has taken part in productions of musicals including Peter Pan (sets and costumes; choreography by Gheorghe Iancu, Piccolo Teatro, Milan, 2000), Kiss Me, Kate (sets and costumes; choreography by Amedeo Amodio, production by Lamberto Puggelli, Teatro Regio, Turin, 2001) and Shrek the Musical (sets and costumes, Casino de Paris, 2012). 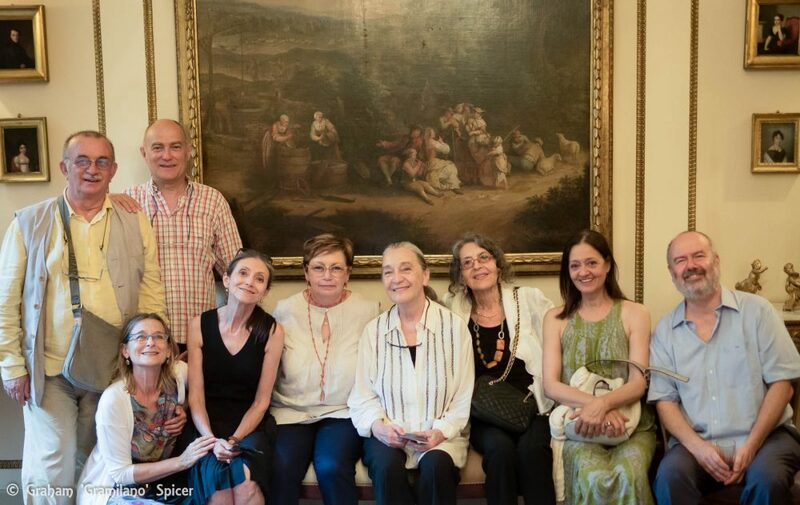 Many present at the gathering for Luisa Spinatelli were former students from the Brera Academy who now work mainly at La Scala and the Piccolo Teatro. Representatives from the costumiers Brancato were present, which has been making her costumes for decades. The world’s greatest Harlequin, Ferruccio Soleri, who is now 88 and has played Arlecchino in Giorgio Strehler’s legendary production of Goldoni’s masterpiece Servant of Two Masters (Arlecchino servitore di due padroni) since 1959, was there to raise a glass, as was the celebrated ballerina Luciana Savignano, once the muse of Maurice Béjart. 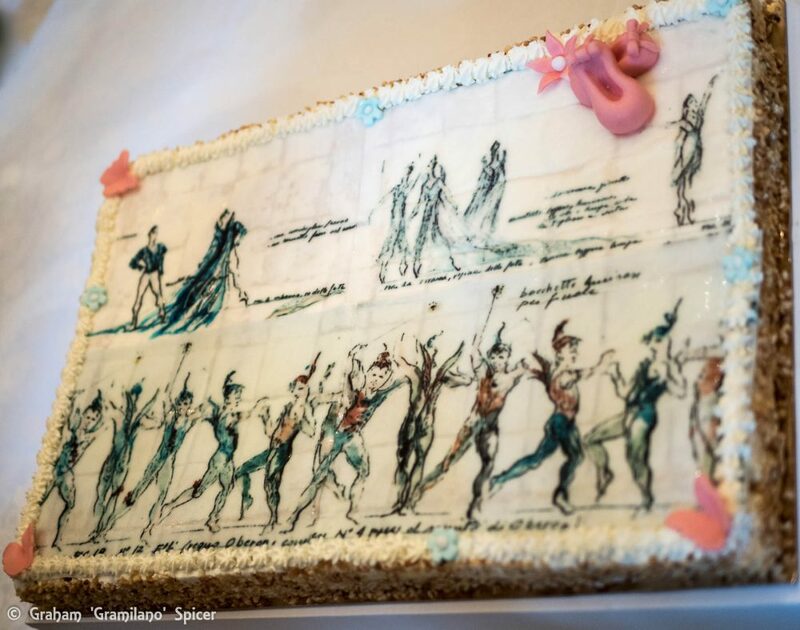 The head of the La Scala Ballet Company, Frédéric Olivieri, was there to eat some of the cake decorated with Spinatelli’s designs from the A Midsummer Night’s Dream which his company will perform over the next weeks; he has also brought together Anne-Marie Holmes and Luisa Spinatelli to create the company’s new Le Corsaire for next season. Luisa Spinatelli’s gauzy light fills the sets, and delicately sumptuous costumes waft the ballet with exquisite sympathy… these luminous designs take tasteful and pretty to a higher dimension. Luisa Spinatelli… taking tasteful to a higher dimension.